I love Thanksgiving. I love Fall, and things that taste like pumpkin, and getting together with family, and having my kids home for five days. I obviously love enormous feasts with everything delicious and wonderful. But I also love everything this holiday is about: remembering what makes us thankful and counting our blessings. And so this Thanksgiving week, I’d like to count my Bluestem blessings. I am thankful that I have the ability to devote my time and energies to founding Bluestem. I am truly lucky to have been able to quit my paying job so that I could concentrate on this job. Being able to devote myself to furthering Montessori education in Lincoln is a privilege and a joy. I am thankful for the support of my family - my husband and kids who have made Bluestem their mission too, and my parents, parents-in-law, and extended family who participate in all the fundraisers, provide invaluable counsel, and have stepped up to volunteer when/how they can. I am thankful for the extremely supportive Montessori community in Lincoln and in Nebraska. I am so grateful that the directors of Montessori School for Young Children, Children’s Circle Montessori, Child’s View Montessori, and Prairie Hill Montessori have been willing to answer all of my questions, and are truly committed to creating a nurturing Montessori environment in Lincoln. I am so grateful to the Lincoln Montessori Education Association, and to all the Montessori teachers in Lincoln. I am grateful that we share the philosophy that more Montessori education can only benefit this city. And I am grateful to the Montessori professionals in Omaha who share this view and have provided so much advice and support. I am thankful for Bluestem’s Board of Directors. Being a member of a founding board is not easy, and I fill their inboxes a lot. Their guidance, patience, and hard work is a gift. Mostly, I am thankful to our Bluestem volunteers and supporters. The nature of our volunteers - and maybe this is true of all organizations - is that they don’t have tons and tons of time to give. Most are parents of young children, or busy college students. So I recognize and honor the sacrifices they make when they give up a Saturday afternoon for a planning meeting, or take the time after putting kids to bed to print out flyers for us. I am thankful for Neisha, who has helped organize almost all of our fundraisers to date. I am thankful for Johannes, whose enthusiasm is contagious and who is always willing to put in the hard work and big ideas. I am thankful for Meghan, designing flyers for us in her free time and distributing them around town. I am thankful for Marissa for offering to host our Norwex fundraiser and organizing the whole thing. I am thankful for everyone who showed up to help price, set up, donate for, organize, and otherwise pull off our yard sale this summer. I am thankful for the monetary donations. Starting a school is not as cheap as I wish it was. I am thankful for legal advice, IRS advice, Montessori advice, start-up advice… pretty much all the advice. I am always, always happy to learn from experts. I am thankful for new volunteers and supporters who have taken the time to meet with me, and who are already sending me articles and doing research to make Bluestem as great as possible. I am thankful for you. I am thankful that you are interested enough in this school that you are reading this blog, following our webpage or Facebook page, giving when/what you can. I am grateful and thankful for whatever level of support you can offer. Whether it’s a $5 donation or a $100 donation; offering an idea you have or researching grants - your support, time, and resources make a huge difference. 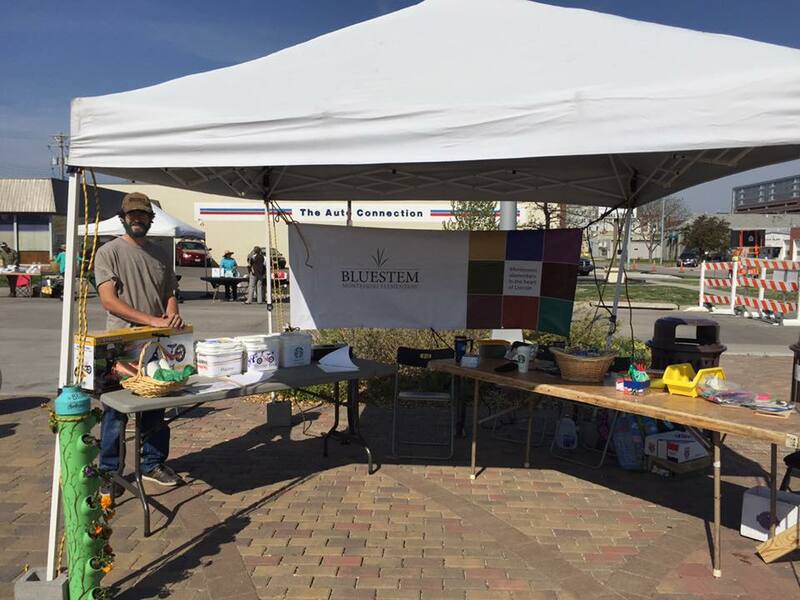 Bluestem is a community school - we’re a nonprofit and our goal is to make Lincoln better by providing an alternate model of education to Lincoln families. Together, we can do this. So thank you for being a part of this team.